"This is a real victory for little projects." The Kuiper Belt is a collection of space rocks beyond the outer reaches of Neptune, like Ultima Thule. Astronomers predict their age to be about as old as the Solar System itself. Kuiper Belt objects are extremely difficult to observe because of that distance, even using the most expensive telescopes in the world. That’s why it’s extraordinary that a research team at the National Astronomical Observatory in Japan just spotted one — with a telescope that costs less than a fancy TV. 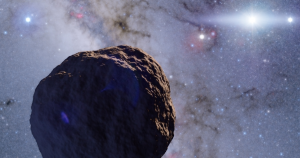 The team discovered the 0.8 mile (1.3 km) wide object using a telescope that, as Motherboard pointed out, costs about $3,000. They augmented its power with specialized cameras and an astrograph, which is an instrument for wide field astronomical surveys — and the DIY approach paid off: the team’s research was published in the prestigious journal Nature Astronomy on Monday. The team used a technique called “occultation,” which entails observing a large number of stars at the same time and noting every time a shadow passes in front of them by measuring the dimming of the star’s light. They monitored about 2000 stars for a duration of 60 hours and after analyzing the data, they found a light signature suggesting the existence of the new space object. The discovery could confirm an important hypothesis about the formation of planets: tiny space rocks slowly grow through collecting cosmic dust grains into kilometer-sized objects before merging with other objects when they get to a certain size. Despite the team’s minuscule budget, their discovery manages to bring us a lot closer to understanding the evolution of the early Solar System.